The notorious horror classic returns in a newly remastered 3-Disc Limited Edition! 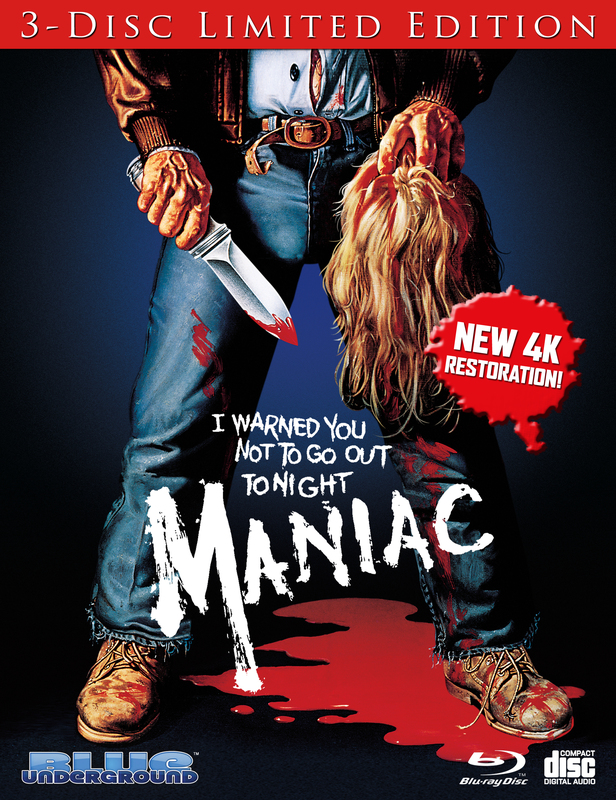 The folks at Blue Underground went to work to produce the definitive home video release of Maniac and they delivered it. This is the type of top-quality work that deserves a perfect overall score. HIGHLY RECOMMENDED. Maniac, for all intents and purposes, is a truly frightening, unsettling, and unforgettable movie experience, and Blue Underground has once again exceeded all expectations and delivered a mouth-watering Blu-ray package of the film that is an absolute must-own. Highly recommended! An Undiluted Expression Of Urban Horror... A Formidable New York Grunge Flick Through And Through! Forget Tarantino & Rodriguez... This Is The REAL Grindhouse! A Grimy Snapshot Of Early '80s Manhattan And An Unapologetically Twisted Study In Pathological Murderousness! Some Of The Most Unprecedented, Graphically Detailed Depictions Of Violence Ever Put Before A Viewing Audience! One Of The Darkest Films Of All Time... Required Viewing For Any Horror Fan!